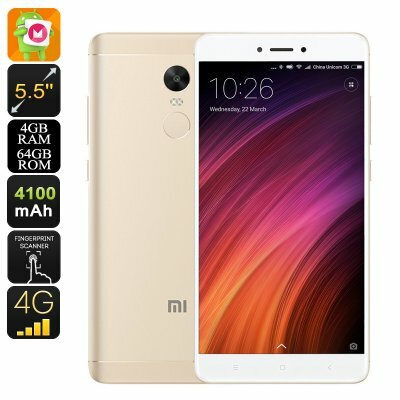 Successfully Added Xiaomi Redmi Note 4X Android Phone - Android 6.0, Deca-Core CPU, 4GB RAM, Dual-IMEI, 5.5-Inch Display, 4G, Dual-Band WiFi (Gold) to your Shopping Cart. At the rear, this Android phone features an ultra-fast fingerprint scanner that lets you unlock your smartphone in the blink of an eye. Thanks to this, you can be assured that all your files will be fully protected and can only be accessed by you. The cell phone comes with 64GB internal memory and a 128GB SD card slot. It offers plenty of space for you to store all your files, media, and pictures. The latter of which can be snapped with the phone’s mesmerizing 13MP camera. With 2 IMEI numbers, 4G, and Dual-Band WiFi – this Android smartphone keeps you connected at all times. The Xiaomi Redmi Note 4X Android phone comes with a 12 months warranty, brought to you by the leader in electronic devices as well as wholesale Android smartphones..
satisfied with the Chinavasion service. I love this site very much. I ordered from other places, the products came back from customs. I did not have any problems with the products I bought from here. Very fast and safe. Sometimes there is a delay in preparing the products. It'd be better if the cargo was made quicker.